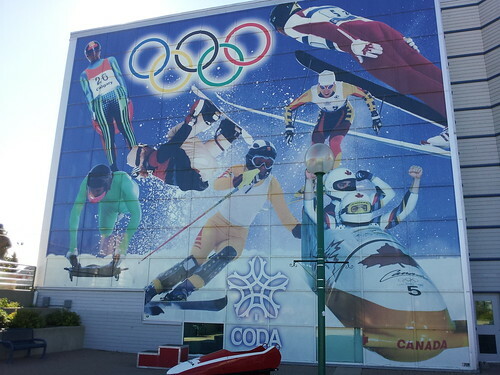 During the 1988 Winter Olympics in Calgary, Canada Olympic Park was the primary venue for ski jumping, bobsleigh, and luge. I was there this weekend. 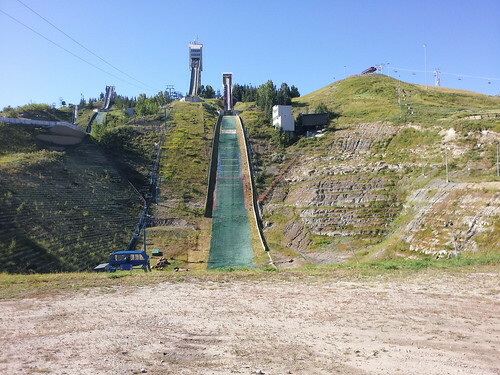 This is where Eddie "The Eagle" Edwards represented Great Britain in Olympic ski jumping. The flags look like they've had better days. 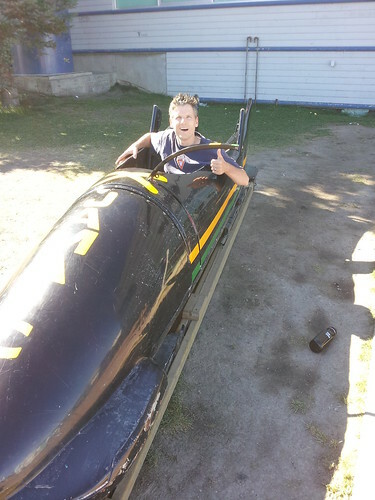 A highlight for me was sitting in the Jamaican bobsled. A yasso nice! After a brief visit to Calgary, we drove to Banff and Jasper before heading to Edmonton. I'll be collecting all of my Alberta entries here. I would love for someone to do a photo essay of old Olympics venues from around the world. They probably all look like abandoned theme parks like Calgary. 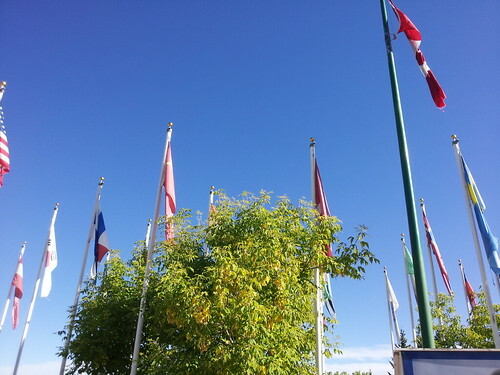 When we were there, Calgary Olympic Park was bursting with mountain bikers who were paying $25 for 4 hours on the course. There was some ziplining, too. COP is a popular place to go ski, ride, jump, zipline, etc. It was once called Paskapoo. It's definitely NOT abandoned.